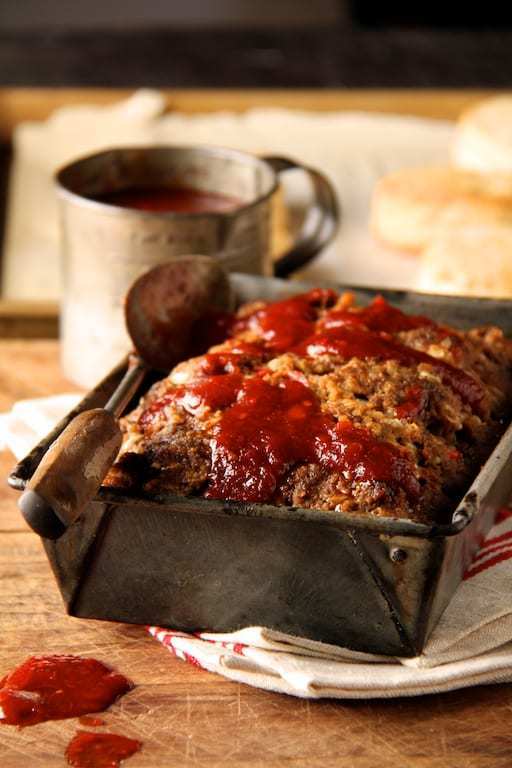 Chili Glazed Meat Loaf is simple, old-fashioned comfort food! The best kind of comfort food! MEAT LOAF: Preheat oven to 350 degrees. In a large bowl, combine all ingredients except the beef and mix well. Add beef and combine well. Turn mixture into a 9 x 5-inch loaf pan and pat down. Bake 40 minutes. Brush glaze ingredients over meat loaf and bake another 20-25 minutes or until cooked through to 165 degrees. Let rest 10 minutes before slicing. CHILI GLAZE: Combine glaze ingredients in a small bowl.